Getting started with LEGO materials in the classroom with young children can be exciting and challenging. 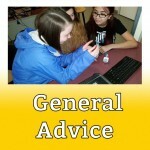 This article gives you some tips for making it easier and more effective. 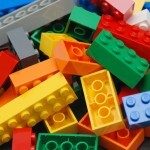 LEGO materials are a great platform for introducing young children (ages 5-8) to science and engineering concepts. However, as a popular option during choice time or indoor recess, they are often associated with play. When using them as a learning tool, these are some recommendations that will help students to focus on the learning goals. 1. Differentiate LEGO Learning periods from choice and play time. Talk to students about how LEGO Engineering time or LEGO Science will be different from choice and play time. Discuss how the activities will have specific challenges that you as the teacher will want them to work on. Have them help brainstorm what might be different about LEGO Learning time versus playing with LEGO pieces during free time. 2. Separate LEGO materials for play and for learning. LEGO play materials often have many unique pieces (windows, doors, people). These can often be distracting for students. Moreover, students often work on learning projects for multiple weeks. This means the LEGO materials would not be available for play. 3. Have clearly defined projects and with multiple measurable outcomes. LEGO play lets students be as creative as they want. In LEGO Learning, we want students to try and accomplish specific tasks like building a chair for a teddy bear that keeps him from falling over or a sturdy car that can pass the drop test. Activities work well when they are presented with a clear problem for students to solve, e.g. Build Mr. Bear a chair. 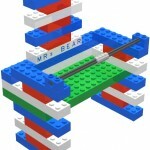 The activity also need to have clear goals that the students can work towards… Does Mr. Bear fit in the chair? Does it keep him upright? Does the chair stay together when I pick it up? 4. Make accessories and people an incentive for the end of the project. Once you bring out a bin of LEGO people (or trees or flowers or windows) the entire focus of the activity generally shifts from the challenge at hand to who has the person with hair or how many flowers are on top of their project. They are a great incentive for students to make sure they complete the challenge. 5. Make students responsible for pieces and organization. Lots of little LEGO Pieces everywhere can make even the most laid back teacher a bit crazy. Try and instill in students a sense of responsibility for the pieces they are using. Have them sort and organize kits. With some assistance and guidance students as young as 5 and 6 can help sort a 100 piece kit. Many teachers have students go on a LEGO hunt at the end of class to search the floor for pieces that go into an extras bin (to be sorted at a later date).